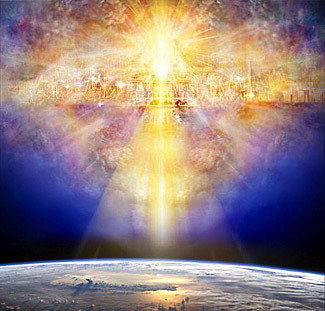 We are fast approaching the 11.11.11 Triple Portal Activation and in this time of preparation we are experiencing daily increases of light quotients. 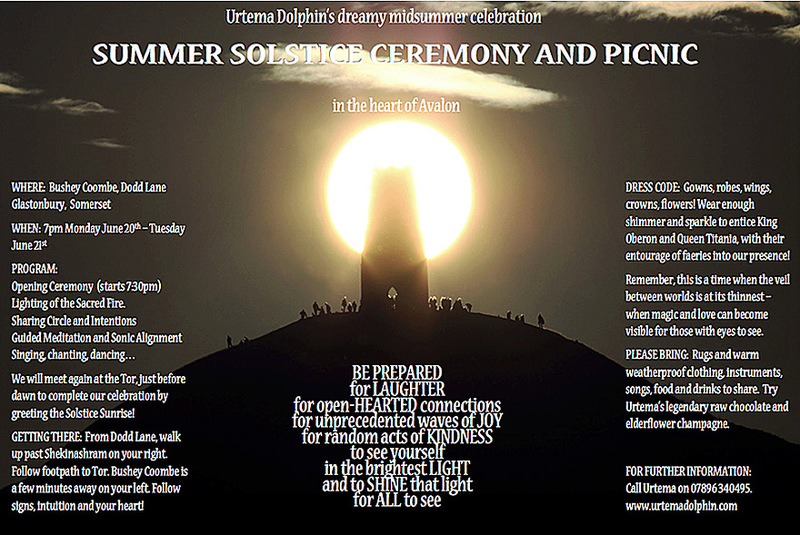 You are invited to join Urtema Dolphin for an evening of activation and alignment to your I AM presence, through meditation, breathwork, sound and movement all of which will assist in the assimilation of light. This preparation will align you like a rocket in a launch pad prepared and ready for lift off! You will not however be leaving the earth but raising her vibration and that of all life on earth as we shift into the higher frequencies of the 5th dimension. SPECIAL GUEST: I am delighted to annouce the presence of Sacred numerologist Margarita Coleman who will explain the numerological significance of 11.11.11 and do a reading for a lucky volunteer. 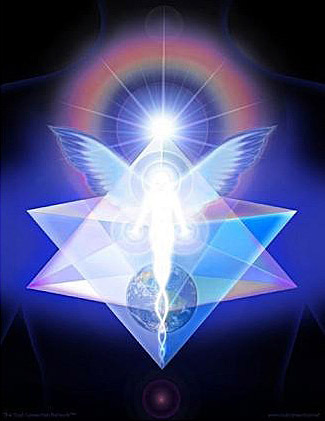 NEW GODDESSENCE: All present will experience a new aura spray in the Goddessence range - the amazing Alignment Essence. Alignment Essence is Urtema’s most powerful Goddessence to date and is perfect for these times as it assists in bringing about the vertical alignment which is necessary for the Ascension process. If you have bought your Alignment Essence already and are coming to the event please ask for your discount from Urtema. There are some who lead the way for others to follow. Come if you feel the call. The clarion call is being sounded. Sounded from the highest dimensions to resonate with the deepest longing of our souls. Our longing for release from illusion, release from attachment, our longing to gracefully embody our limitless potential through unconditional love and oneness. And to walk as gods and goddesses upon the earth, in love and with reverence for all life. This is encoded in our Cells, in our DNA . This is our divine blueprint, our divine heritage. We are the Ones we have been waiting for. The time of the 11.11.11 TRIPLE ACTIVATION PORTAL is at hand. This is the time when the most potent transformation and evolution of consciousness in our history will be experienced by humanity. Millions of us have heard the call. Millions of people all over this planet are filled with the irresistible desire to be the change, to choose love and to see their vision of the new earth made manifest. The power of this cosmic triple stargate will not only harness but intensify and magnify humanity’s intention a thousandfold. GETTING THERE: From Dodd Lane, walk up past Shekinashram on your right. Follow footpath to Tor. Bushey Coombe is a few minutes away on your left. Follow signs, intuition and your heart! We will play with sound, movement, singing, mantra and meditation, preparing our multi-dimensional chakra systems to receive the maximum influx of light. Be prepared to fall in love with life. Be prepared for magic and love made manifest. Be prepared for the best day ever. Be prepared to shine, shimmer and sparkle as you radiate light-as you become light. Drums, shakers, singing bowls, crystals, etc. And please wear weatherproof clothing. There is no charge for this ceremony, however a donation is requested for the farmer who kindly allows us to use his field at Bushey Coombe, providing firewood and a firepit. I have been guided to gather a band of beautiful people to join together in a joyous celebration of life and all of the beauty of the English countryside in full bloom. We will be camping at a beautiful campsite on the land of a lovely friend of mine, Jules. The campsite is quiet, secluded, has a swimming pool and a fire pit. It is surrounded by fields and magical woodland which is perfect for short walks or long rambles. Jules imports amazing organic superfoods and makes the best organic superfood smoothies ever. He has said that he will set up a juice bar on the campsite. Also confirmed for the celebration is a brilliant raw/organic chef. The landscape of the area is steeped in legend and folklore. In nearby Royston is the Royston Cave, a unique example of the work of the Knights Templar and believed to date from the early 14th Century. The cave contains carvings and wall paintings and is of particular interest to us as it is built on the intersection of the Michael and Mary lines. The energy in the centre of the cave is extremely powerful. Imagine this combined with the solstic energy! Royston Cave is confirmed for Saturday evening. This is a private entrance with a guide for an hour and a half. Sunday night will be spent around the fire, setting the intention for the ceremony at Wandlebury Ring, where we will greet the solstice dawn. Wandlebury Ring is located in the Og Magog Hills and was the site of an Iron Age hill fort. Dowsers confirm legends that a stone circle lies buried under the surface of the hill. This is where we will be for Solstice sunrise, in ceremony with the intention of connecting with and sending love into Gaia, balancing our masculine and feminine energies and celebrating the sun, giver of life to all on Earth. It would be feasible to drive back to London straight after the sunrise ceremony if you need to be there early for work. This is a rough itinerary. It is possible for anybody wishing to stay at the campsite for longer to do so. Please contact me if you are interested in possibly joining me for some midsummer magic. We are also inviting Hugh Newman, Author of Earth Grids published by Wooden Books and one of the Founders of Meglithomania. Hugh also grew up in this part of the world and is a leading authority on Earth Energies. His presence and the depth of his knowledge would bring a different dimension to our work. He is the author of the page you will find on the link above. Hopefully, he will be able to make it - if not for the whole three days, at least for part of the time. Please contact me to book your place. I am so looking forward to this special and sacred time. Please also feel free to forward this to friends. Hugh will take us for a walk around the sacred landscape in the Og Magog Hills including Wandlebury Ring on the Saturday afternoon. Leaving campsite around 2 pm. And then on to Royston Cave . ° please note that the Solstice Gathering is sustainably fuelled by unlimited supplies of Unconditional LOVE pumped directly from Source into the open hearts of all present.